Slimbridge is a great day out, flat paths make it accessible too, they even hire out scooters for people who have difficulty walking, there are lots of different species of ducks, geese and other waterfowl to see in their natural habit, there are no cages and you can interact with the birds too, if they let you get close enough. Besides the birds there are also otters, although you are only likely to see them at feeding time, hides where you can sit in peace an watch the birds, lots of trees and plants, a tropical hut, a cinema, an inside activity are for children and welly boot land where children can jump around in puddles and play on slides etc. We did what we usually do when there and just slowly wandered round, I had set up my Nokia N8 on my wheelchair tray and attached a mouse using an OTG cable so I could take photos myself, I also had my trusty GoPro taking snaps every five seconds and recording video. The N8 did pretty well, it was easy to control using the mouse and took over seventy pictures before the battery gave up, the GoPro lasted about two hours which isn’t bad either. 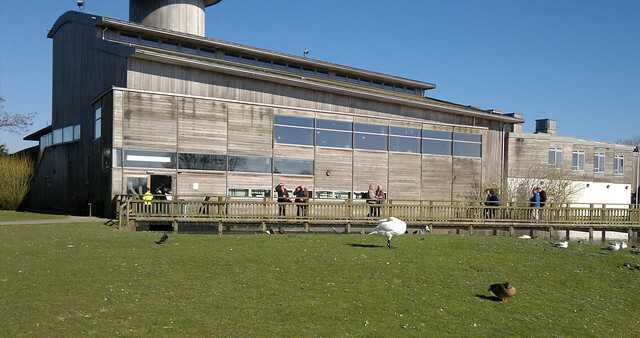 While there we also saw ducks being caught for vaccinations, there always seems to be something going on at Slimbridge other than their regular talks and demonstrations. As always it was a lovely day out that I’d recommend to anyone, there’s even a pub on the canal just down the road if you want to stop for a drink or lunch on the way home (no drinking if you are driving though please). I actually managed to get a bit sunburned too, in March! 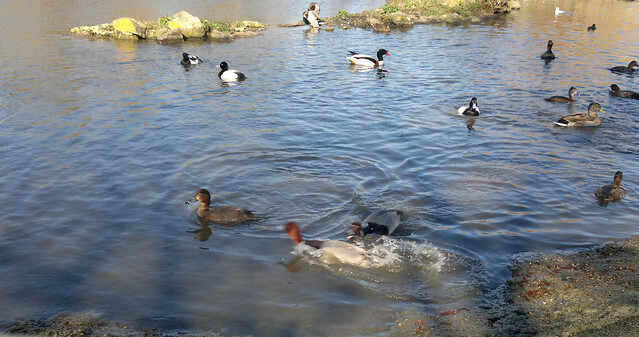 This entry was posted in Geeky, Outdoors and tagged anxiety, Daniel Baker, Ducks, Flamingos, Geese, GoPro, Nokia N8, Slimbridge, WWT. Bookmark the permalink. The duck (goose) bomb kept Joseph amused!